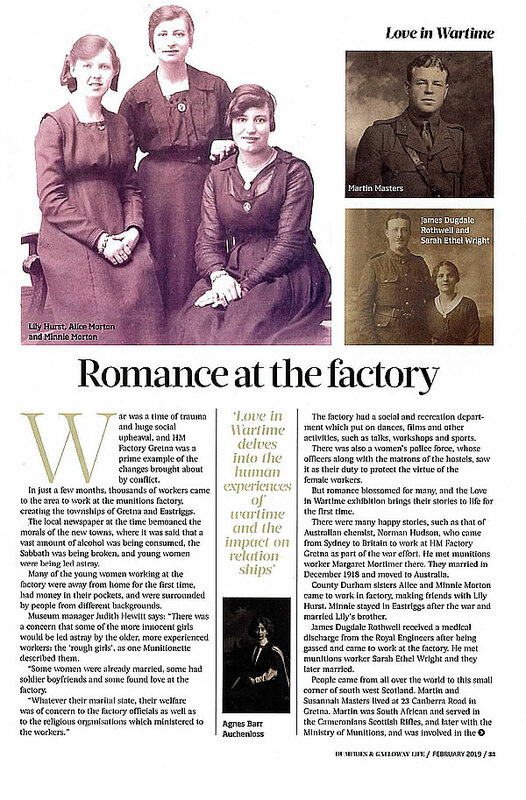 Our new exhibition, ‘Love in Wartime’ features in the current edition of Dumfries and Galloway Life magazine. The article features in an interview with Judith Hewitt, Museum Manager and curator of the exhibition and features a look at some of the stories and accounts involved in the exhibition. Love in Wartime opens on January 21st.